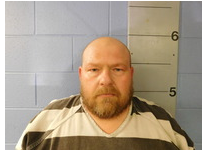 Trevis Sizemore, 45, of Washburn, was arrested on February 4 after allegedly attacking a woman he was romantically involved with and shooting a shotgun at their trailer. According to the affidavit of probable cause, the Barry County Sheriff’s Department was responding to a domestic disturbance. Sizemore allegedly repeatedly hit the victim in her head and attempt to choke her because he thought she was cheating on him. He also kicked her in the body before pulling out a shotgun and firing it at the trailer. Trevis was charged with unlawful use of a weapon, a class B felony. Trevis was released from the Barry County Jail on Tuesday, February 9, on a $20,000 cash-only bond.